Planting easy-growing, adaptable, multi-purpose plants in and around your garden increases your chances of attracting a wider range of pollinators, from bees to butterflies to moths and hummingbirds. This, in turn, increases your garden’s production, as the pollinators fulfill their name by distributing pollen much more effectively than the plants and breezes could alone. These flowers and herbs are food as well as hosts for various pollinators; while also providing aroma, color, texture, aromatherapy, culinary, and medicinal benefits to us gardeners. Everybody wins! To be included here, the plants must be resilient and adaptable. 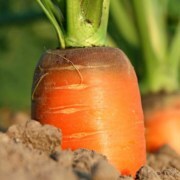 They thrive in a wide range of soil types and need very little (if any) additional feeding. They tolerate heat stresses and dry periods while surviving occasional heavy rains. Once established, they are very robust and re-seed or emerge on their own each year. 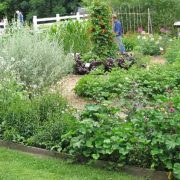 What they do is give you more time to spend on other parts of your garden while constantly, quietly working to bring in more of the beneficial insects that reduce pests and increase the amount, size, and flavor of the fruits of your garden. These plants will fill out their area of your garden, so give them enough space to work! As they settle in, you’ll notice your garden becoming a favorite “café” or “bistro” for the beneficial and pollinator club, with “regulars” stopping by daily for the freshest nectar and pollen. Soon you’ll see a line forming down the block because your garden is the eagerly anticipated “hot spot” to be seen in. Now you know what they will do for you, let’s introduce you! 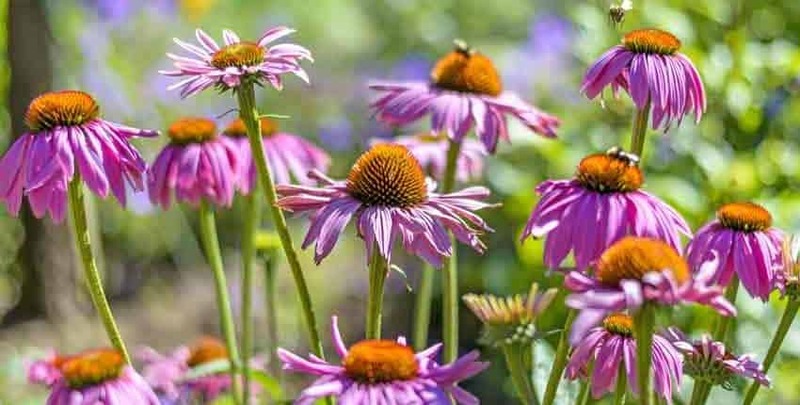 Purple Coneflower – (Echinacea purpurea) is a perennial wildflower that is at ease bordering a flower bed, gazing over shorter perennials from the back of the bed, or alongside other daisy-like wildflowers. They bloom June through mid-August in most locations, and their flowers are lovely as fresh cut flowers with the dried “cones” elevating dried arrangements in the fall and winter. The blooms bring in butterflies such as Painted Lady, Monarch, and Fritillary; with honeybees and native bees also loving its sweet nectar. Later on, small songbirds flock in looking to snack on the dried seeds in late summer and early fall. Somewhat surprisingly, coneflowers repel deer – they aren’t very attracted to the taste or prickly heads. While they express themselves best in full sun, they will tolerate partial shade, re-seeding themselves from year to year. Once they begin to fill in their area, prevent excess seedlings by removing spent blooms. Once they are established they are relatively drought tolerant and can withstand a surprising amount of heat. 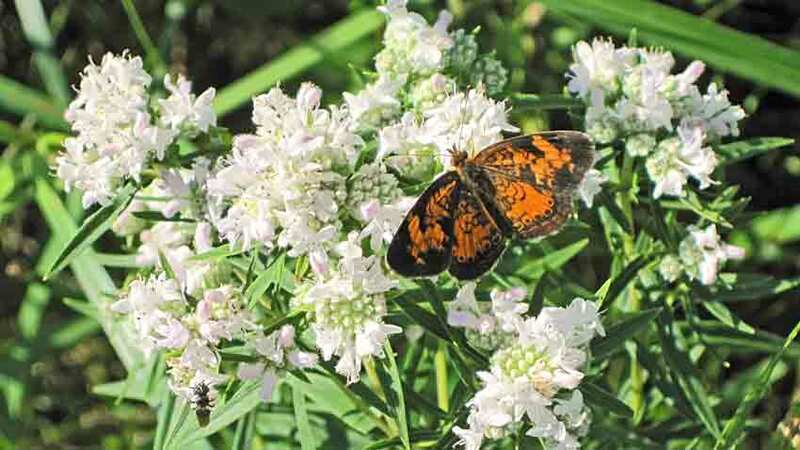 Virginia Mountain Mint – (Pycnanthemum virginianum) is a stout but easy-growing perennial native; a must-have for any pollinator garden. Its tiny white flowers, often spotted with purple, release a strong mint-like aroma, blooming in numerous small, dense clusters rising above the stalks. Blooms July through early to mid-September, even October in warmer climates. It can take almost anything weather-wise and thrive while being a treasured nectar source for almost every insect around. 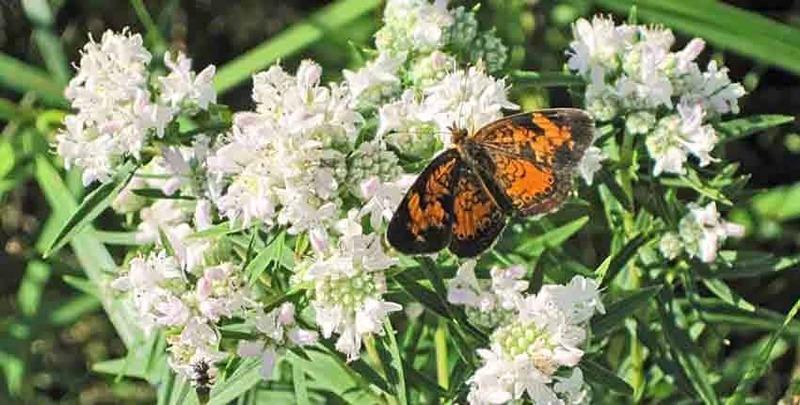 Butterflies, beneficial bees, pollinating flies, moths, beetles – everyone wants a spot at the Mountain Mint table. Besides a pretty and popular face, it’s leaves are valued for baking and in teas. No wonder this has been highly valued for its beauty and fragrance by gardeners for generations. Many gardeners vividly remember their first encounter, not so much from the plant but from the amazing range of pollinators congregating on and buzzing around the flower clusters, sipping nectar and trading pollen. Its strong minty aroma is remembered next, with its accompanying notes of oregano or thyme, especially if the leaves were crushed to release their fragrance. It likes at least a half-day of sun but doesn’t need rich soil or lots of water. Keeping the soil lightly moist during the first half of its first summer helps it become established; then it becomes very drought tolerant. Deer dislike Mountain Mint, preferring less pungent snacks. Planting is almost ridiculously easy as seeds don’t need any pretreatment or cold stratification – simply scatter them by crumbling dried seed heads in late fall or even early spring as soon as the soil begins to warm. 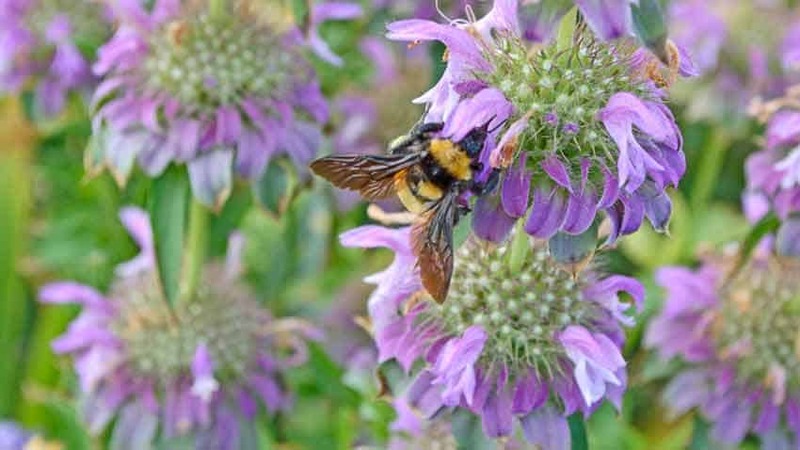 Lemon Bee Balm – (Monarda citriodora) is a native annual that has some serious star power with the pollinator community. Its showy and abundant, tiny pink to purple-lavender flowers are clustered around each square stem that grows in masses. Blooms June through early to mid-September, October in warmer climates. This plant knows its beauty and flaunts it! 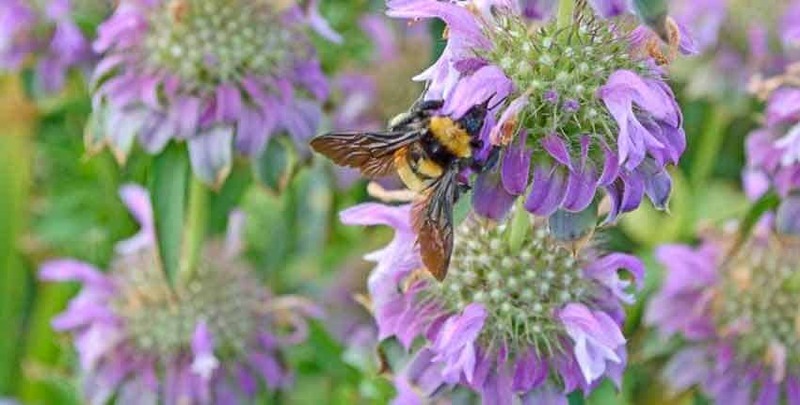 Only growing 1 – 2 ½ feet tall, Lemon Bee Balm effortlessly brings in serious crowds – hummingbird moths, hummingbirds, and bumblebees along with several species of small to medium-sized butterflies. Our 10-foot long section often has 20 – 30 bumblebees humming about, along with numerous moths and native bees. The abundant flowers produce copious amounts of nectar and pollen to keep everyone happy and busy. Excelling as a bedding plant either as a centerpiece or alongside other medium height flowers, it provides bunches of fresh-cut flowers to scent a room with. Dried stems with their interesting seed-heads make intriguing interest points in dried arrangements in fall or winter. As with most rock-star pollinator attractants, this also keeps gardeners, chefs, and tea lovers happy. The aromatic lemon-citrus leaves are soothing in herbal tea mixes or straight, relieving sore throats and coughs. Potpourri gets a strong perfumed hint of mint with citrus and cooks love the minty-herbal flavors in chicken and seafood. Desserts benefit from the flavor and tiny, showy flowers as garnishes. 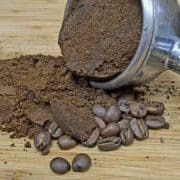 Sow seeds in late winter to early spring by scattering seeds or crushing seed-heads and raking into the topmost soil to conceal from becoming snacks for hungry critters and birds. Prefers full sun, but does well in half-day or light shade. 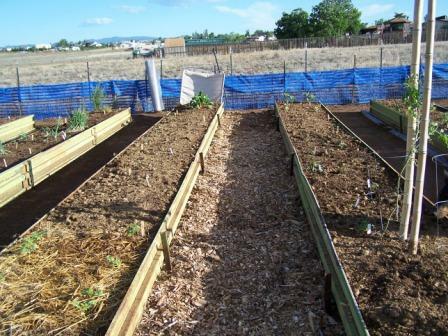 Is not picky about soil but will be slightly shorter in poor soil. Butterfly Milkweed – (Asclepias tuberosa) is a native perennial and one of the only sources of food for the Monarch butterfly caterpillar, along with other species of milkweed. Also plays host plant for Grey Hairstreak and Queen butterflies with various other butterflies, beetles, bees, moths, and other insects dining on its nectar. Blooming June through early to mid-August, milkweed is named after Asclepius, the god of medicine and healing in ancient Greek mythology. Long used for its medicinal effects in pulmonary and cardiac ailments gives it the other common name of Pleurisy Root. 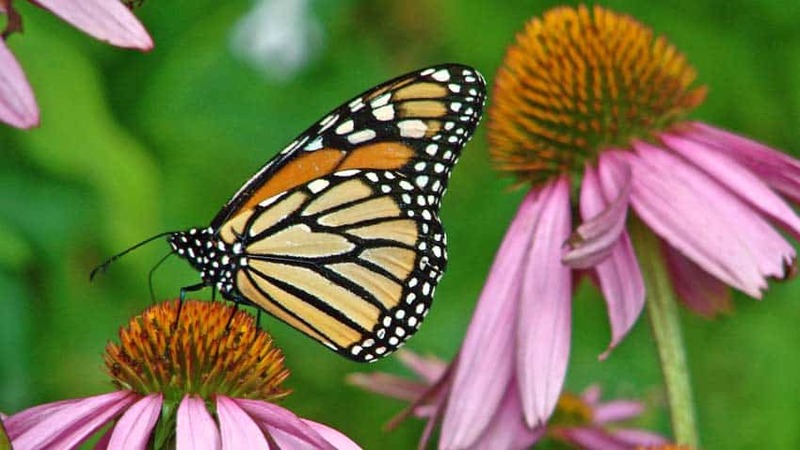 Those same cardiac glycosides are what makes the Monarch caterpillar and butterfly poisonous to its predators. 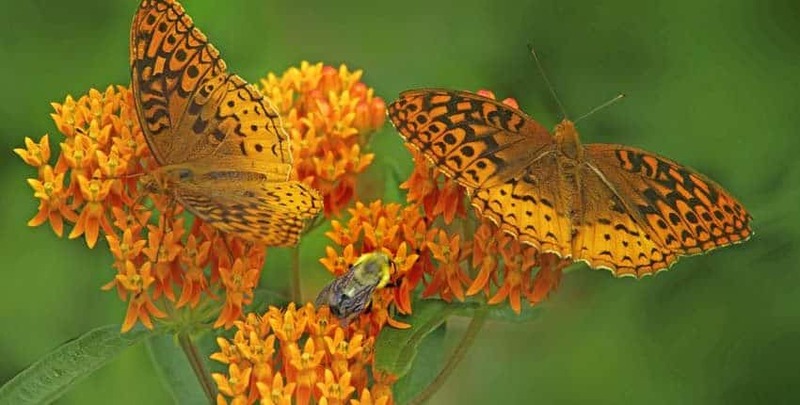 Inevitably butterfly weed will get aphids – leave them for the ladybugs to eat; or if the infestation is more than you can tolerate, spray the leaves with soapy water. The aphids rarely cause damage to this tough plant. The flowers have a visually interesting and unusual structure, making delightful cut flowers with their long-lived, showy, strong colored blooms. Gets along well planted among other mid-sized perennials or stout annuals where its colors and structure can shine. 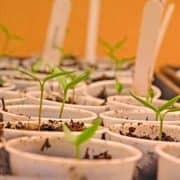 Plant seeds in late fall or early spring to allow enough time to acclimate and wear off their natural germination-inhibiting seed coating before the soil warms up. 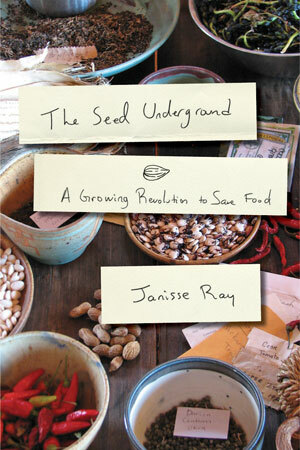 Scatter the seeds – floss and all – and cover lightly with soil. 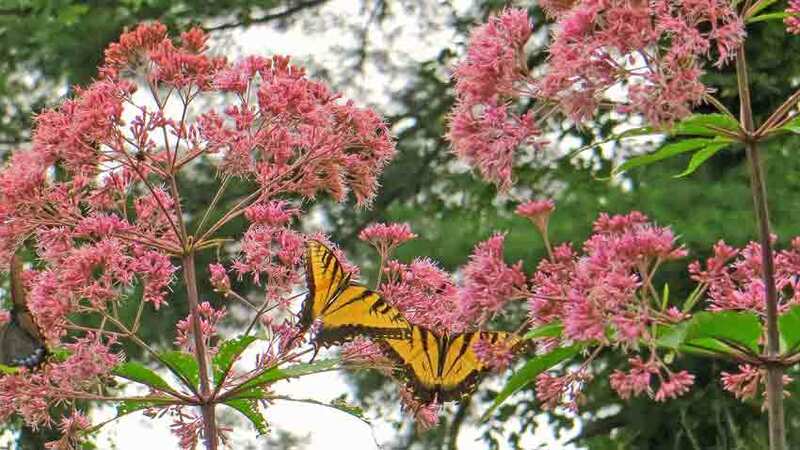 Joe Pye Weed – (Eupatorium maculatum ) is a “weed” only in the sense that it is a native, wild plant. Joe Pye Wildflower would be a more suitable name for this attractive, beneficial flower with such a striking presence. Looking far from weedy, this could be a star in your pollinator garden. 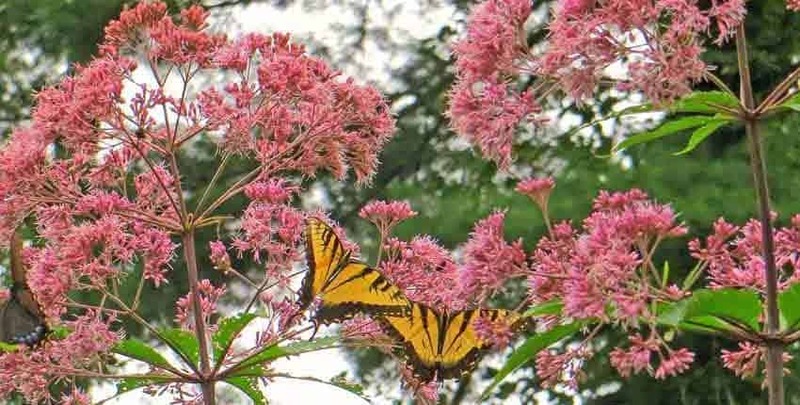 This serious butterfly magnet blooms July through September or until a hard frost and often the flower heads are almost continuously covered by butterflies – especially Swallowtails but also Monarchs for the plentiful nectar. Joe Pye also draws in Little Glassywing, Zabulon Skipper, and American Lady alongside hummingbirds, honeybees and native bees. Joe has legs, often growing to 7 feet tall with moderate, sustained soil moisture – so he’s often most comfortable towards the back or along visual borders in the garden where he won’t crowd out the shorter plants. In drier conditions, the average height is 3 – 5 feet. He prefers sunny or partly shaded sites to hold court and tolerates both moist soils and occasional drought conditions once established. Plant seeds in late fall by scattering and pressing into the soil surface. They need moisture and light to germinate, so don’t cover them too much. Cold stratify seeds for spring planting by mixing with damp sand and storing in the refrigerator for 60 days before sowing as in fall. 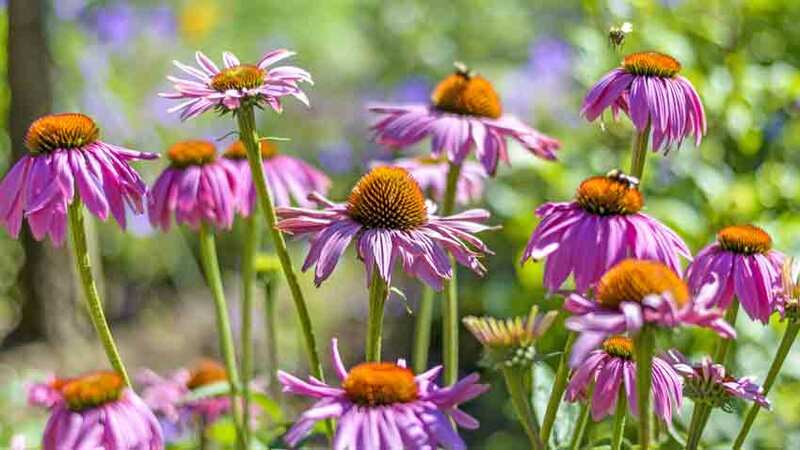 Choose several varieties from this list for their overlapping bloom times and pollen production, ensuring your pollinator “staff” has a continuous food supply throughout the growing season. Feed them well and they’ll be happy! Another option is to browse the Flower Department of our online store for a larger selection or choose one of our Flower Mixes for an easy start. In late fall, don’t cut the dead stems down to the ground; leave them a couple of feet tall to hollow out and become homes for several species of solitary native bees.